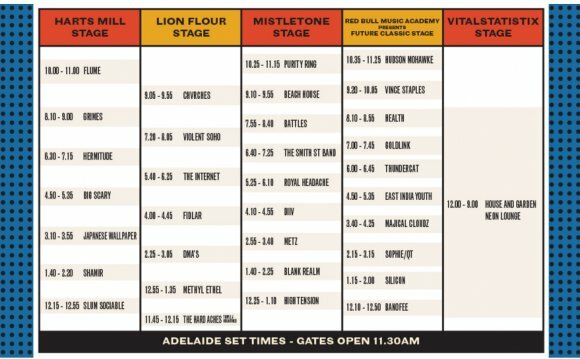 The twelfth edition of the Laneway Festival is coming at you. This January/February, the Laneway Festival will host a tonne of this year’s best artists on prime real estate in Singapore, Auckland, Adelaide, Brisbane, Sydney, Melbourne and Fremantle. The Adelaide and Brisbane events will be 16+. Laneway is not just about the music. It’s about engaging with the local community - our favourite local bars, restaurants, designers and visual artists - in each territory to make sure every detail is covered. We can’t wait to reveal more about these collabs closer to the date. The full festival line-up will be announced at 9AM AEST on Tuesday 22 September 2015. Game On. The 2016 line-up is a heady mix of left-field electronica, shambolic punk, intelligent pop and boundary-pushing hip-hop. It’s the incredibly strong local contingent - already iconic or soon to be legendary Australian bands, many of whom have fresh new music dropping over the next couple of weeks - that we are particularly excited about.